In the 3rd BW Hotelier Smart Hotels Conclave and Expo at The Park New Delhi, Bobby Mukherji spoke upon the 'Architect's View: Old Structures, New Technologies, a Seamless Refurbishment Experience'. “Getting the right consultant on board is important to create the right technology in hotels,” said Bobby Mukherji from Bobby Mukherji and Associates at the third BW Hotelier Smart Hotels Conclave and Expo at The Park New Delhi. Mukherji gave his presentation on the ‘Architect’s View: Old Structures, New Technologies, a Seamless Refurbishment Experience’. His experience with William Leeds Architects in New York gave him the first taste of success. With the philosophy of ‘Say nothing let your work speak instead’, Mukherji has served different genre of clienteles including from retailers to airlines to hotels to corporate houses to private residents. From getting the quality of the air to be purified to enhance the bathing experience, Mukherji believe that in infrastructure, getting the basics in its place should be at utmost importance. “Hence, the importance of technology plays a vital role even before the aesthetics,” he said. Mukherji also shared a fact that the smaller and standalone hotels do not pay better care to these aspects as compared to the bigger brands. 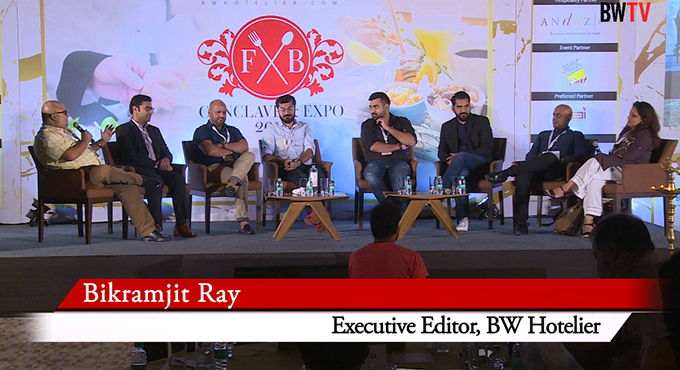 “In my experience I have noticed bigger brands getting more sensitive towards getting the basics right,” he stated. According to Mukherji, using the new age materials in refurbishments have helped in creating better return on investment to the hotel owners. During his presentation, Mukherji spoke about the renovation of Le Meridian, New Delhi. “Le Meridian is amongst the first hotel that installed LED lightings and flat screens which were appreciated by the clientele,” he said.